It is with great enthusiasm that we present to you Youth and Interfaith Dialogue: A Directory of GTA Organizations! 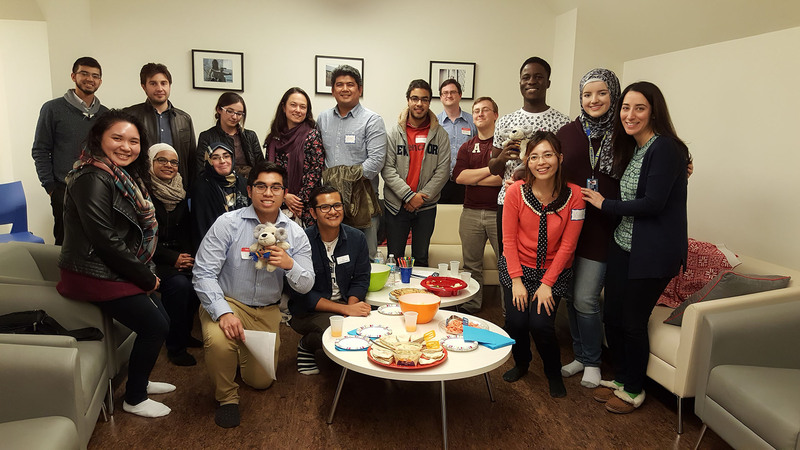 This compilation of organizations – all of them currently engaged in youth and interfaith work in the Greater Toronto Area – was created as a networking tool to facilitate and empower communication between local interfaith initiatives. In addition to the main directory, you will find educational resources, potential global partners, and other useful information. Through this document, and through ongoing field research, we hope to reach out to initiatives we have not yet encountered. This directory is an effort of Scarboro Missions Interfaith Department. Through this youth listing we hope to contribute to the creation of a sustainable network, fostering interreligious collaboration amongst youth in our city and around the world. Please feel free to forward this directory to colleagues and to post it on websites and social media. To add your organization to this GTA youth directory, or to learn more about developments in the field of youth & interfaith, please do not hesitate to contact me. 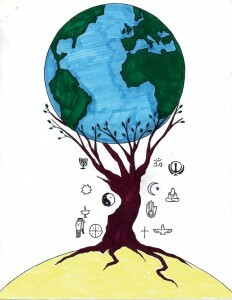 The Encounter World Religions Centre creates opportunities for academic and experiential encounters with world religions. Each year, thousands of students in the GTA participate in these programs. 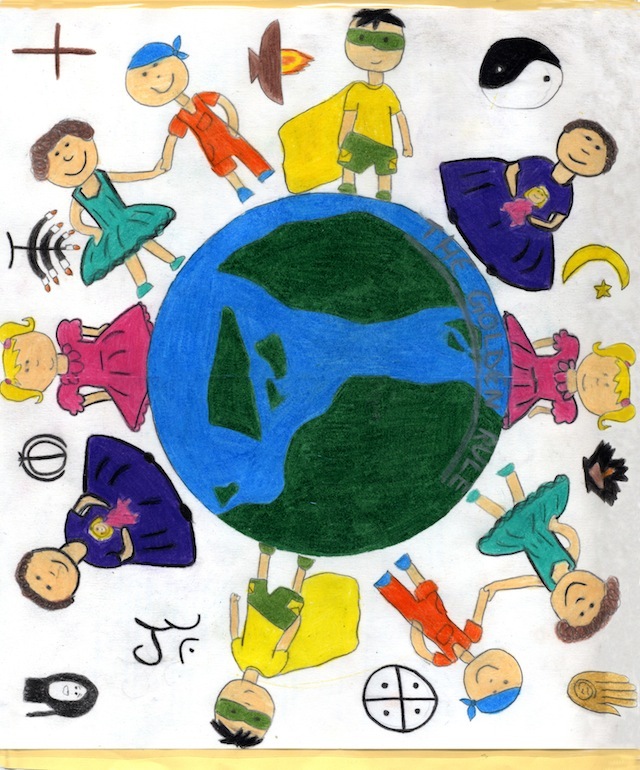 Popular with Secondary Schools, “Sacred Symbols” is an interactive presentation introducing the sights and sounds of the world’s religions through authentic ritual objects, musical instruments and dress. Another favorite with students and teachers, the “Houses of Worship Tour”, provides guided tours of synagogues, temples, churches, mosques, gurdwaras and meditation centres. Students have an opportunity to speak with practitioners and religious leaders, ask questions, and observe rituals. Encounter also offers professional development opportunities for teachers and adult educators. Faith House Toronto brings together young adults from various spiritual, religious, secular, and otherwise philosophical backgrounds to live together in a house. Each fall, this community welcomes new housemates to work on social justice initiatives from an interfaith perspective. This multi-faith residential space is supported by the Inspirit Foundation and the University of Toronto’s Multi-Faith Centre and Ecumenical Chaplaincy. 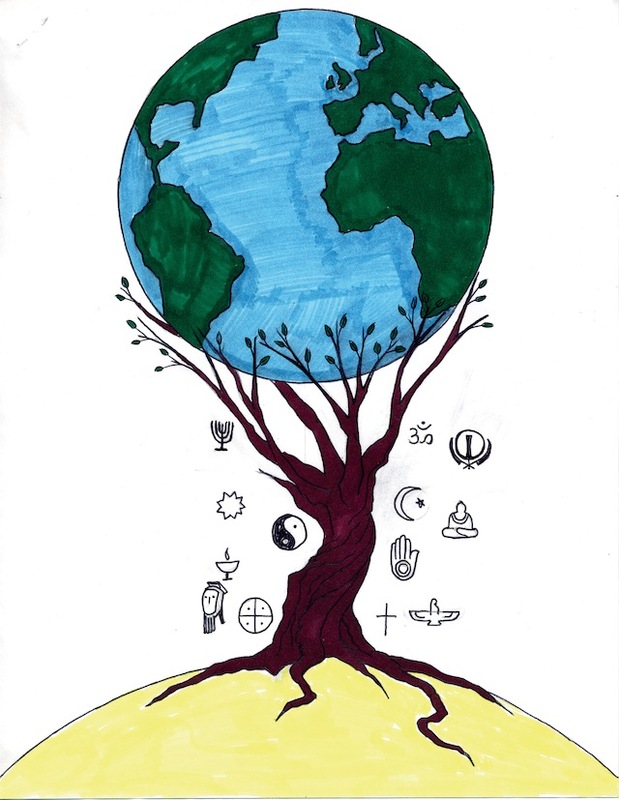 Greening Sacred Spaces (GSS) is a practical interfaith program developed to assist and inspire diverse faith communities to take collective action in creating environmentally sustainable communities. 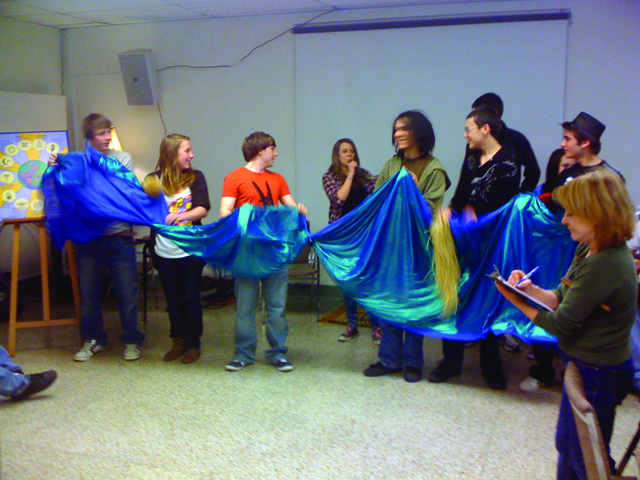 The Halton-Peel Chapter offers interfaith eco-spiritual workshops and activities to motivate youth groups, schools, and young adults to improve their understanding of the connection between faith, community, and the environment.Through their multiple activities, GSS gathers, encourages, and mobilizes youth from diverse backgrounds to protect and care for the environment. 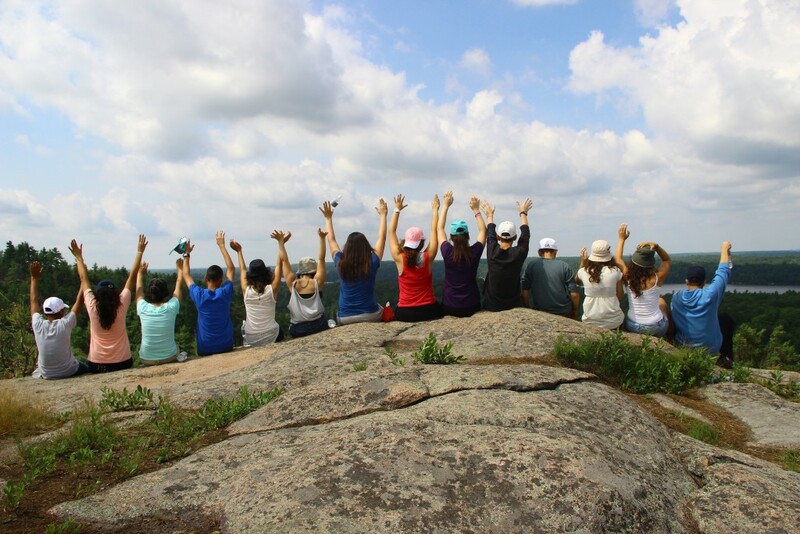 Heart to Heart brings a group of twenty Israeli teenagers to Canada every summer. Half of these participants identify as Palestinian Israeli and half as Jewish Israeli. Upon arriving in Canada, the group spends two and a half weeks living together at Camp Shomria, an overnight summer camp near Ottawa. Daily activities include team-building workshops, camping trips, and facilitated dialogue about the narratives, politics, and power dynamics that participants face in their daily lives at home in Israel. The group also visits Parliament Hill in Ottawa, and spends four days living with Canadian host families while touring Toronto. Heart to Heart is intent on building a generation of leaders who will recognize the importance of creating a truly just and shared society and possess the skills they need to make it a reality. The Heart to Heart team also works throughout the year with youth and adult audiences in the GTA to facilitate dialogue sessions and interactive workshops based on the methods used with its youth participants. The Multi-Faith Centre at the University of Toronto accommodates a variety of spiritual and faith-based practices and encourages interfaith dialogue, spiritual development and community-building for all students. With a state-of-the-art facility and ongoing interfaith and diversity programming, the Multi-Faith Centre has become a safe space in which youth of diverse religious and secular backgrounds can ask questions, reflect on, and learn about the issues related to the search for meaning in the multicultural environment of Canada. The Centre also offers annual internships to university students. The Muslim-Catholic Youth Dialogue promotes friendship and cooperation between Catholic and Muslim students, through shared community service activities and thought-provoking dialogues on topics relevant to both faiths. Past themes have included suffering, violence and marriage. These dialogue meetings, among university-age students and young adults of both faiths, is supported by the Office of Ecumenical and Interfaith Affairs of the Roman Catholic Archdiocese of Toronto and the Canadian Council of Imams. Participants in a Muslim-Catholic Student Dialogue meeting. Photo credit: Vivian Kwok. The North American Muslim Foundation (NAMF) is a Canadian charitable organization serving national and international communities irrespective of religion, nationality, or race. The NAMF Speech Competition aims to develop future leaders by providing youth with opportunities to enhance their public speaking and interpersonal skills. Over 100 schools in Ontario have been invited to participate in this competition, where issues relevant to Canadian society are discussed. Open Dialogue is a student initiative at the University of Toronto (Scarborough Campus) that ensures that the lines of communication between religious, non-religious, and other interest groups on campus remain open and productive. Here students with different worldviews pursue a common interest in wisdom, peace, and unity while respecting the knowledge that each person possesses in the collective search for truth and understanding. Open Dialogue groups meet regularly and over Facebook. Past discussion themes have included the relationship between science and religion, the relationship between genders and how this is affected by one’s faith or worldview, how one’s faith or worldview affects one’s relationships and how to deal with mental health stigmas. This project provides opportunities for young adults across the GTA to cultivate civic responsibility, community engagement and leadership as they dialogue about religious diversity and work against the forces of exclusion and marginalization in the multicultural Canadian context. 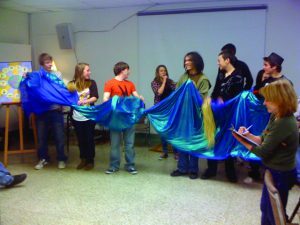 Programs include seminars, community research workshops, youth leadership training in religious diversity and the placement of youth in community organizations. Sponsored by the Interfaith Department of Scarboro Missions, this project promotes information-sharing and networking among youth and young adults who are engaged in interfaith work in the GTA. Current programs include this directory, a Facebook page and efforts to bring young people of various faiths together for dialogue and community service. The project also works to promote collaboration among organizations committed to youth interfaith dialogue. Scouts Canada engages youth, involving them throughout their formative years in a non-formal educational process. Scouts have a lot of fun discovering new things and experiences they wouldn’t have elsewhere. Along the way they develop into capable, confident and well-rounded individuals, better prepared for success in the world. Scouting offers a world where you can discover the best in yourself and the best in others. In Toronto, there are many different Scouting groups whose memberships are broken down by location, religion, or other cultural affiliation. Most groups are co-ed and are accepting new members. 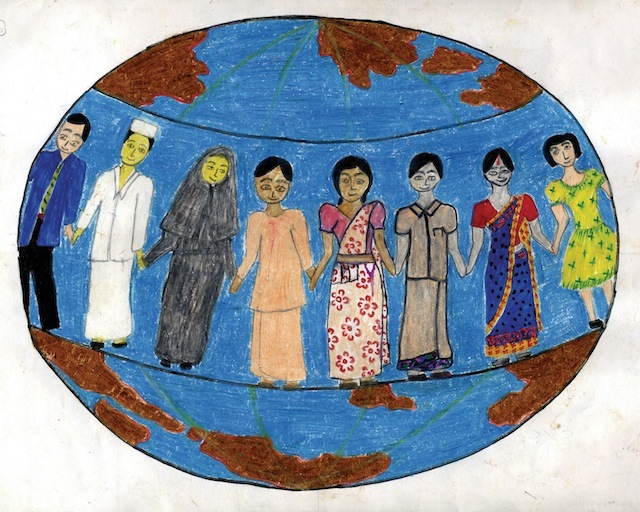 Scouts has a long tradition of welcoming members of all religions, cultures and ethnicities. Spirit Singers is a non-auditioned choral ensemble of university students who celebrate diversity and foster intercultural and interfaith understanding. The Spirit Singers affirms our common humanity in the quest for peace and justice. The repertoire of the Spirit Singers reflects a wide variety of worldviews. In addition to musical performances, this exciting inter-disciplinary artistic musical performance programme also includes opportunities for spoken word, dance and multi-media expressions. The ensemble is open to university students only. The Student Christian Movement (SCM) of Canada is a grassroots network led by youth and students who are passionate about social justice and community action. This ecumenical movement emphasizes diversity and welcomes everyone, regardless of belief, sexual orientation, faith tradition, and age. SCM has initiated Faith House Toronto, a multi-faith residential community whose members work on social justice projects from an interfaith perspective. Ummah United is a group of university students in Toronto that brings together youth in an active learning experience about religion, philosophy, and spirituality. The group organizes workshops and does research in efforts to build a bridge of understanding and co-operation between various communities, while providing an educational platform for people to share and discuss faith-related topics. In 2014, Ummah United organized an inter-faith conference that examined the beliefs and practices common to Judaism, Christianity and Islam. “We are a multi-faith organization reflecting the multi-ethnic/multi-faith complexion of the University of Toronto. 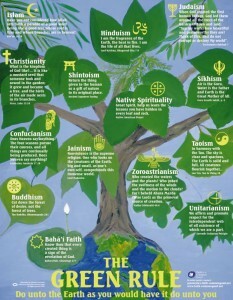 We help make the connections between an intellectual understanding of spirituality and living the reality of faith. We are there at critical moments to facilitate rites of passage – weddings, funerals, memorial services. We offer spiritual support from a holistic perspective. We are not bound by being part of the academic reporting system of the university. We are committed to helping people (students, staff and faculty) grow to wholeness through a search for meaning in life, an exploration of spiritualities and an examination of moral and ethical issues.” On the UofT Campus Chaplains Association website (see above), there is a listing of the chaplain representatives of numerous faith traditions, including their email addresses and phone numbers. TAIC is an organization of representatives of numerous faith communities and groups in the Toronto area. 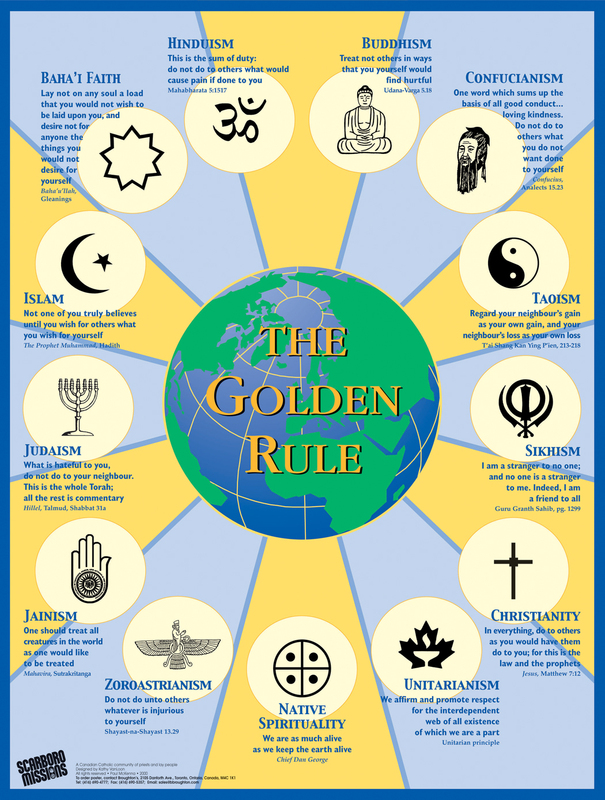 TAIC is dedicated to affirming the importance of ethics, spirituality and faith in daily life and to the promotion of understanding, harmony, respect and acceptance among the faith communities of the Toronto area. 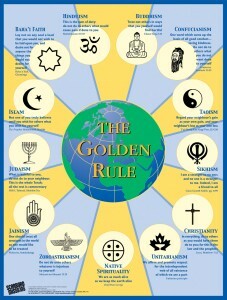 TAIC functions in association with individuals and organizations devoted to Multifaith activities. In addition to his work as an Interfaith Intern at Scarboro Missions, Héctor is pursuing a Master of Philosophy at the Institute for Christian Studies where he is a research assistant for their Centre for Philosophy, Religion, Society and Ethics. Originally from Bogota, Héctor began undergraduate studies in philosophy at the National University of Colombia, transferring to the University of Toronto to complete his Honours Bachelor of Arts. Héctor also holds a Master of Divinity and a Bachelor of Sacred Theology from the Toronto School of Theology, Regis College. 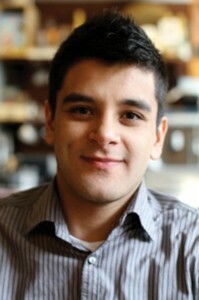 While at TST, Héctor was actively involved as a student representative, serving as president of the Regis College Student Council. Parallel to his studies, Héctor has worked for several non-for-profit, faith-based organizations dedicated to social justice and education including, Fontbonne Ministries and the Newman Centre Catholic Mission. Héctor’s research interests include philosophy of language, the intersection of faith and society, and current trends in Latin American theology. 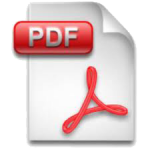 Scarboro Missions encourages individuals and organizations to reproduce this document for educational purposes. Please feel free to forward it to colleagues and to post it on websites and social media.